Note: This article is based on my presentation to the Mines & Money Conference on 27 November 2017. Good afternoon ladies and gentlemen. The title of my presentation is “Positioning Yourself for a New Bull Market in Gold”. I highlighted ’New’ because gold’s bull market actually began a century ago when central banks started taking steps to isolate and marginalise gold’s role in national currency systems. The trigger was the outbreak of World War One, and the driver behind this forced change was the Federal Reserve, which had just been created. The United States had been operating and growing successfully without a central bank, but the progressives that were becoming increasingly influential realised that for power of the State to increase – which was the goal of progressives in the US and other countries – gold needed to be isolated and marginalised. By 1971 gold was completely removed from national currency systems, but that didn’t stop gold from being money. All of which means, the flip side of gold’s 100-year bull market is the parallel bear market in the purchasing power of national currencies, which is the central focus of my presentation today. To begin let’s look at two quotes. This first one is by JP Morgan, one of the leading financial minds of his era, who is often misquoted, but here is what he actually said in Congressional testimony in 1912: “Money is gold, and nothing else.” Note that he is defining money, not gold. 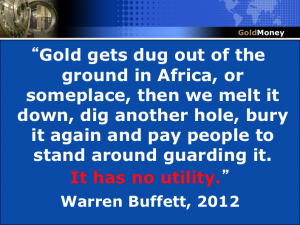 Then a century later we have another leading financial mind, in this case Warren Buffett saying: “Gold gets dug out of the ground in Africa, or someplace, then we melt it down, dig another hole, bury it again and pay people to stand around guarding it. It has no utility.” I emphasise his comment that gold has no utility so that we can look more closely at it and think through Mr Buffett’s assertion. If gold had no utility, that would mean it has no usefulness. But if it had no usefulness, it would not have any value. If it didn’t have any value, nobody would offer it in exchange for goods and services that did have value. And if it wasn’t something that could be exchanged, gold would not have any price. Yet here we are today at $1290 per ounce, so Warren Buffett is obviously wrong, which begs the question, is JP Morgan right? What did he mean by saying Money is Gold? [i] To answer this question we need to ask, what is money? 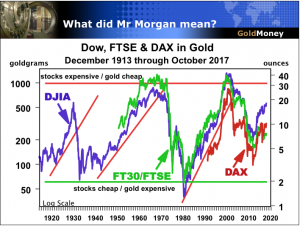 To do this I will identify five different principles to explain what money is, and why Mr Morgan was indeed right – that money is gold. By implication, national currencies are a money-substitute circulating in place of gold. Each of these five principles is an essential constituent for anything to be deemed and named as money. First, we use money to calculate prices. Normally we do this with various currencies – the pound, dollar, euro and so forth. But we can also calculate prices in terms of ounces or grams, and we can use these weights of gold to calculate the price of anything. It could be commodities, other goods, services, or even financial assets, which is what I have chosen here. I am measuring price of the Dow Jones Industrials, FTSE and the DAX stock indices in grams and ounces, and we get an entirely different picture than when these indices are measured in dollars, pounds and euros. There are two points about this chart that I would like briefly mention. Even though they are beyond the scope of my presentation today, they are useful. First, this chart provides a means for valuing gold relative to stock indices. As you can see, each market index is expensive when it takes about 30 ounces of gold to buy it. Conversely, when it takes around two ounces, these stock indices are cheap. So in effect this chart is telling us when to be in stocks or cash, but when I say “cash”, I of course mean gold cash, not the cash of any national currency. The second point is that this chart makes clear the credit cycle. Banks overextend credit, which creates the boom in economic activity. But it is illusory wealth that is being created in a boom. 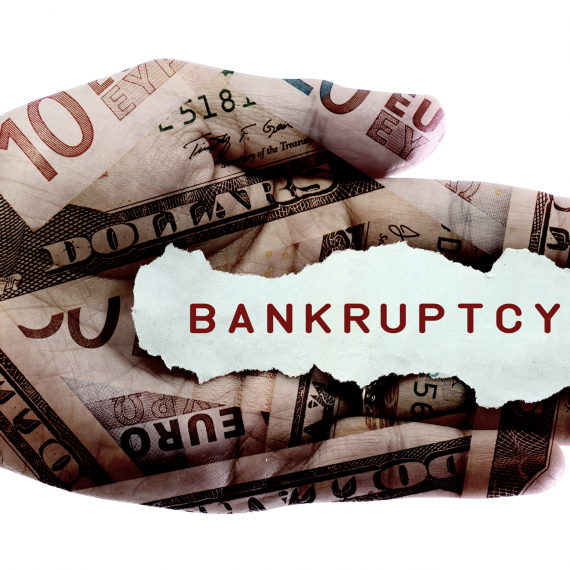 It is the result of credit being overextended, which means banks become too leveraged and carry too much risk relative to their capital base, after which you get the bust. And we see three economic busts on this chart – the Great Depression of the 1930’s, the Great Inflation of the 1970s and the Great Recession here at the beginning of the 21st century, which in my view has yet to play out to its fullest extent to complete this 3rd cycle. Returning now to the five principles that determine what is money, the second principle is that money preserves purchasing power, and gold does that. In this chart I am using a base-100 analysis of crude oil to explain this point. 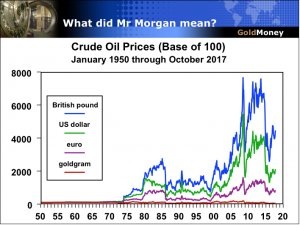 In other words, I am assuming that crude oil in 1950 costs 100 units of these four currencies, and this chart shows the unit cost over time from 1950 to the present. We can see that the British pound did not preserve purchasing, nor did the dollar or the euro. Gold is the only currency that has preserved purchasing power, and don’t be misled by thinking that the euro is different from the dollar or pound just because it looks better on this chart. Remember that the euro was created in 2000, so everything in this chart before then is actually the performance of the Deutschmark. So look at how these currencies have preserved purchasing power since 2000. We can see that there is a gap opening between the three national currencies and gold. And the euro is no different from the dollar and the pound. The euro is not the Deutschmark. For five decades the Bundesbank did a reasonably good job to preserve the purchasing power of the Deutschmark, but the ECB, which obviously is not the Bundesbank, has set a different course for its management of the euro. It’s the same course that other central banks have been following for decades – debasement and erosion of purchasing power we call inflation. Returning now to answer the question what is money, the third principle is that goods and services buy goods and services. With the growth in credit and the use of plastic cards when shopping, this third principle today is often forgotten or overlooked. But credit does not “buy” a good or service. The shopkeeper is not paid until he or she receives a good or service in return. Until then, the shopkeeper holds an I.O.U., namely, a promise from someone – whether a bank or some government – to preserve the purchasing power of the I.O.U. until the shopkeeper wants to purchase a good or service. 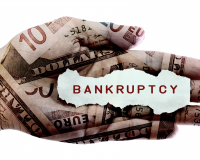 Of course, this risk does not arise if the transaction is completed with a tangible asset like gold to pay for the purchase, which leads to the fourth principle that is essential to define money. Fourth, there is no counterparty risk with gold because it is a tangible asset. It is not a liability of a bank like all national currencies. Gold is not dependent on some bank’s promise or any government’s promise. And finally, we come to the fifth and last essential element needed to define money. There is no payment risk with gold. Commercial transactions using gold are completed outside the banking system, and settlement is instantaneous. Look at it this way. Assume you walk into a car dealer to buy a new Mercedes, and you pay for the car with gold coins. A tangible asset is exchanged for another tangible asset. 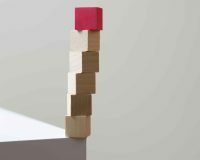 The transaction is extinguished the moment those tangible assets are exchanged, and it is done outside the banking system and therefore avoids the payment risk that would otherwise arise if national currencies were used. This instantaneous gold payment process describes one of the services we provide in Goldmoney, but these gold payments are made digitally, which brings up the next key point – cryptocurrencies. Features 3, 4 and 5 are unique to gold. They explain why money became gold in the first place, and why gold has been money for 10,000 years. National currencies lack these three features, which explains why national currencies are a money-substitute and not money itself. National currencies can be used to calculate prices and in theory preserve purchasing power like the Deutschmark did for 50 years until the politicians pushed aside the Bundesbank and its sound money principles. But as we all know, national currencies no longer preserve purchasing power, and in fact, central banks are quite vocal about trying to create more inflation. These three features unique to gold are being talked about a lot these days because they are features that cryptocurrencies are trying to replicate, but cryptocurrencies are not gold. They are a money-substitute just like national currencies, but they are a much better money-substitute than national currencies. I would next like to debunk some newfound myths surrounding gold and cryptocurrencies. The first of these myths is that people are buying cryptos, not gold. Or in other words, they are in effect taking sales away from gold. With cryptos bubbling away and the gold price languishing at the same time, it sounds plausible doesn’t it? But in fact, something else is happening. To make my point I will use Goldmoney’s own experience. We just reported our second quarter results, which noted that the weight of metal we are storing in Goldmoney for customers increased. One of the reasons we saw this increase is because Goldmoney accepts cryptos in payment from customers who want to purchase gold and silver. In fact, it has been one of our growth business lines, and we are expanding our products and services in this area as you may have seen from our recent announcements. But here is the important point I would like to make. Why are people selling their cryptos and buying precious metals? They are doing it for the same age-old reason that people have been exchanging value for precious metals for thousands of years – to protect their wealth. A lot of wealth has been created in cryptos by the early adopters, so they are exchanging crypto wealth for gold wealth, which leads to the next myth. Cryptos are competing with gold. There is an element of truth in this myth because we are free to choose. We choose which product we want to buy and which goods and services we want to use. It’s how society works. Competition is the backbone, but it’s not dog-eat-dog competition of the jungle. Rather it is the “invisible hand” of Adam Smith. We interact in society to improve our position. So for example, to avoid hunger and provide shelter, we work. Because we cannot predict the future, we save money, and we choose which money we want to use in order to hold our liquidity. So moneys are in competition with one another, and gold competes for holders against cryptos just like it competes for holders against national currencies and vice versa. 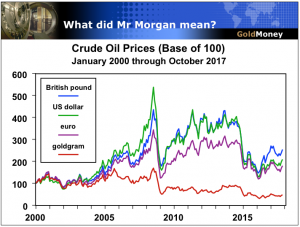 But if we analyse it closely, as I have done here with the five elements essential to money, cryptos offer advantages not found in national currencies, but they do not offer all of the five points that led to Mr Morgan making his declaration that money is gold. This observation leads to the third myth that cryptos are making gold redundant. It is excessively hubristic to claim that something that has been central to society for 10,000 years is becoming unneeded. But wild statements are made in bubbles, like during the housing bubble when it was accepted ‘wisdom’ that housing prices never go down. This third myth is just a wild a statement, but the foolish aspects of wild statements only become clear after the bubble pops. 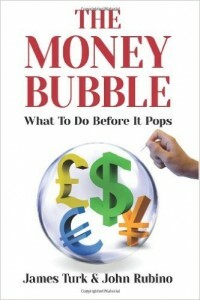 And the big bubble today is the Money Bubble[ii], so we hear crazy things like gold is no longer needed. 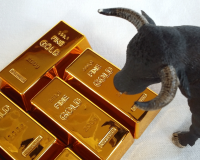 It is easy to think that gold is becoming redundant when you hear some silly stuff about gold. For example, it was recently announced that gold demand fell by 12% year-to-date. Those elements of the mainstream media who like to bash gold had a field day blasting out that item, but it is easy to prove that it is fake news. At the time of the announcement, the gold price was up 11% year to date, so how could demand have fallen 12%? Given that price is always a function of supply and demand, the supply of gold would have needed to drop for its price to rise. Yet everyday 8 tonnes of gold is being mined, which thereby increased the supply of gold by over 2000 tonnes year-to-date, which actually relates to another myth – perhaps the biggest of them all. The supply of gold is not the 3000 tonnes mined each year and the 1000 or so tonnes that is recycled. It is in fact the 170,000 tonnes of gold sitting in the aboveground stock. Gold is not consumed nor does it disappear; it is accumulated. Its supply grows year after year just like the supply of dollars, which actually can disappear if banks fail. For example, the supply of dollars declined by 30% in the Great Depression, which explains why the purchasing power of the dollar back then soared. To get back on point, gold mined 2000 years ago by the Romans is identical to gold being mined today. Every ounce of gold being held by someone or some institution is what I call gold’s M3, the total quantity of gold, or as Mr Morgan would have said, the total quantity of money. I’m not going to talk about the enemy. Chris Powell of GATA will be doing that later in the conference. I’m going to be talking about knowing yourself as participants in the gold industry or as individuals who hold gold, which means in particular, knowing gold and understanding why you want to hold it. 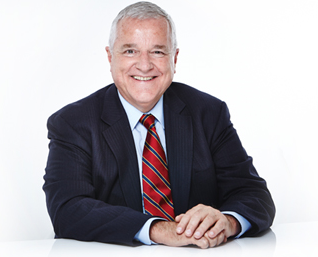 I am hopeful that once I finish my presentation, you will appreciate as I do why the gold industry need not fear the future, which brings me to the next and final part of my presentation. 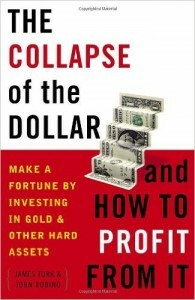 In my last book, “The Money Bubble”, I describe three ways to value gold. Each comes up with more or less the same conclusion, so here I am only going to present one of them. I call this one the Gold Money Index. In contrast to the other two methods that look at gold’s value over a hundred years, this index goes back six decades, which is within my living memory as well as that of many people in this room. Why do I only go back six decades? Because in the 10,000 years prior to the 1960s everyone intuitively understood that money was gold. After all, no one in that Congressional hearing back in 1912 asked Mr Morgan what he meant. The Gold Money Index calculates the fair price of gold. It is basically a comparison of money to money-substitutes, in this case it is the US dollar. This chart shows the gold price from 1960 to the present on a log scale, meaning the distance between $30 and $100 is the same as between $300 and $1000. The index is the simple calculation I show on the chart. Divide the weight of gold in central banks by the total quantity of US dollars held by central banks. [iii] The result of this calculation is the Gold Money index, which is the fair price of gold. This chart is useful to illustrate gold’s relative value. You can see that the actual price and the fair price move in relation to each other. The red lines mark when the actual price is below the fair price. Back in the 1960s, gold’s actual price was above its fair price. Gold was overvalued. That’s why the dollar back then was considered to be as good as gold. The same thing happened in 1974. When gold spiked to $200 per ounce, it was at that moment in time overvalued. And then in 1980, gold was again overvalued at $850 per ounce. It is important to note that gold had not changed over this 20-year period from 1960 to 1980. An ounce of it was still an ounce, and if you think back to my earlier chart of crude oil prices, an ounce of gold bought basically the same amount of crude oil in 1980 as it did in 1960. What changed was the dollar. It’s purchasing power was being eroded by inflation and debasement engineered by the Federal Reserve, which caused the rising gold price over this 20-year period. In other words, it took twice as money dollars for gold to become overvalued in 1980 than 1974, which is a measure of the extent to which the dollar was inflated. But look at what has happened since the late 1980s. Gold is substantially undervalued. And more to the point, the fair value of gold today is $11,000 per ounce. As we all know, the key to successful portfolio management is to sell overvalued assets and to accumulate those assets that are undervalued. Gold – and silver too as I will show in a moment – has never been so undervalued. Physical gold and physical silver are among the most undervalued assets on the planet. I would like to end today with a couple more charts. This first one is a log scale of the gold price going back to the time when the central bank cartel called the London Gold Pool collapsed, which started national currencies on the road to debasement and sent gold soaring in the 1970s, which on this chart is marked by a green line. 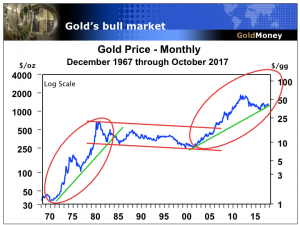 The second green line shows that gold is again in a bull market. 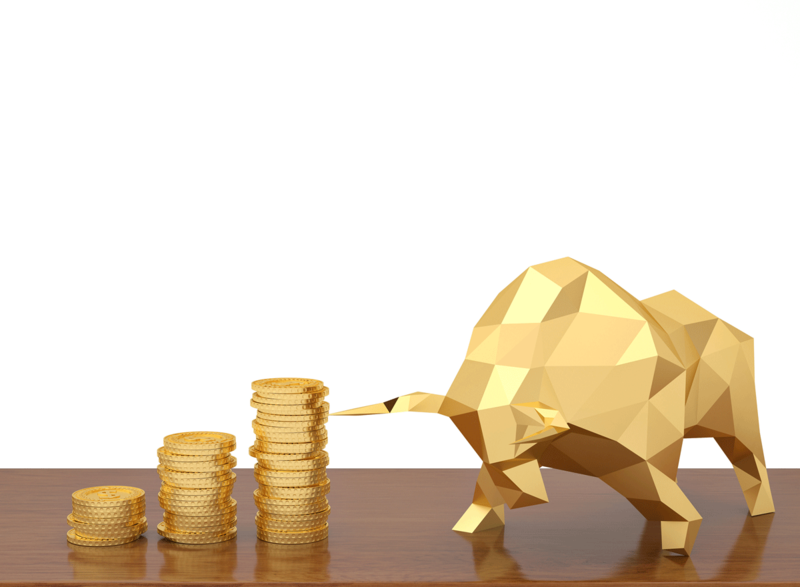 The sideways movement in the gold price from 1980 to 2000 was simply a correction in gold’s bull market that begin with the formation of the Federal Reserve back in 1913. What happened in the 1970s, as indicated by the oval, is again underway as we can see with this second oval marking the gold price in this 21st century. I expect that this leg of gold’s bull market will eventually take the gold price up to its $11,000 per ounce fair value. Turning now to silver, we can see its 1980 and 2011 high at $50 per ounce. But here’s how this chart should be interpreted. From 1980 to 2011, silver formed a huge base of accumulation. Since 2011, it has been forming another, tighter accumulation pattern. I want to emphasize that this is an extremely powerful looking chart that illustrates the huge upside potential for silver. All that’s needed is for silver to break above this red downtrend line because that event would unleash a tidal wave of buying in an already tight market in which it is difficult to buy physical silver in size. 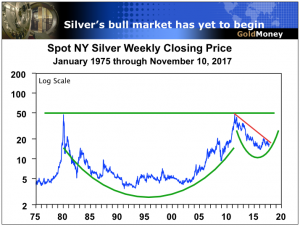 That buying will send silver to and eventually above $50, enabling silver to do what every other commodity has done, which is to exceed its 1980 high price. Now all of this is well and good, but you might be asking yourselves at this stage, what about the mining companies. Rising gold and silver prices will help mining company earnings of course, but I want to use this next chart to explain an important point. Gold and the shares of the companies that mine gold are as different as chalk and cheese. Portfolios are comprised of cash, or in other words, liquidity, and investments. Given that money is gold, you own gold for liquidity. It is not an investment. Gold preserves wealth, as we saw with the oil price chart. It does not create wealth, after all, how could it. Gold does not generate cash flow. It’s a sterile asset. Gold is not an investment. It is money, and one of the best forms of liquidity because it does not have counterparty risk. 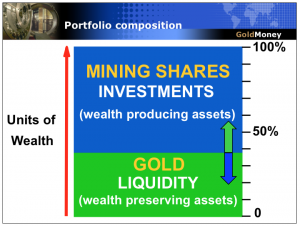 In contrast, mining shares are investments, and hopefully will generate cash flow, notwithstanding the risks they face. But when speaking about investments, in the final analysis it all comes down to risk versus return. And as the price of gold and silver rise, the return generated by investments in mining companies are likely to exceed the returns in other industries. So if you are willing to accept the risks by investing in mining companies, I believe that they offer a wonderful opportunity to buy because like gold and silver, they too are undervalued at present. I would like to wrap up with a few conclusions. First, money is gold; national currency is a money-substitute that circulates in place of gold. Currencies come with counterparty risk and will be debased; inflation will continue to erode their purchasing power. It’s just a question of time. Some central banks like Venezuela are on the fact track. Others are moving more slowly down the road of currency destruction. Third, cryptocurrencies should be welcomed. Bitcoin is not the enemy of gold. Bitcoin is an educator. It is teaching people a fundamental principal of a free society – money does not come from the State. Instead, money comes from the free market process. Labour and capital come together to produce a tangible product that people value and therefore want, and this underlying principle of a free society it true for everything we consume as well as the one thing we don’t consume because it never disappears, which of course is gold. So we should be comparing Bitcoin to shares in tech companies whose products have changed our way of life. Cryptocurrency – whether or not it is Bitcoin – has the potential to do the same. Finally, gold will return to its rightful role at the centre of global commerce, and we know when. It will happen when the Money Bubble pops because when it does, people again understand as JP Morgan did that money is gold. 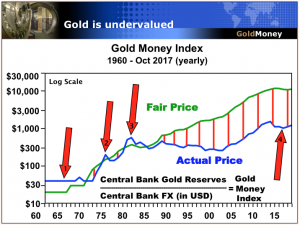 [iii] The Gold Money Index calculation assumes the central banks hold all the gold they say they do, which of course they do not because much of it has been removed from central bank vaults and loaned. But they do not report how much gold they have actually loaned out. The implication is that the fair value of gold is therefore actually higher than indicated by this index.